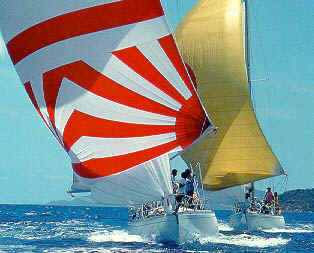 Flotilla in the GRENADINES ! Affordable Yachting's primary objective is to facilitate and encourage sailing. Created in 1994, Affordable Yachting has established a vast network of sailing enthusiasts. This sailing association facilitates the exchange of goods and services among its members in order to render sailing more affordable. Membership fees fund the promotion and publicity of the association's services and activities. Our short term objective is to build the largest sailing network in North America. Our long term objective is to built the largest sailing network on Earth! Can you help? Whereas owning your boat is great, it does have its limits... such as being restricted to the waters in which the boat is located. Would you enjoy sailing elsewhere or trying a different boat for a change? You no longer need to rent a boat to launch out on a new adventure. Swap your boat with another owner and broaden your horizons easily and affordably! Consult our list BOAT SWAP. Have fun! Do you wish to offer your services in exchange for sailing time? Would you like to sell the equipment from your old boat that's still sitting in your garage? Get results by placing an ad in our classifieds! See our MARINE CLASSIFIED. Amateur races and rallies not only foster camaraderie among members; they also provide an excellent opportunity to share experience and expertise in sailing techniques. Affordable Yachting will be organizing more events of such activities to members. 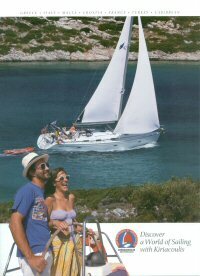 We also organize boat flotillas and excursions to boat shows. Consult the Events to come to find out what is going on. If you want to up size or down size your current boat or simply exchange time on you boat for goods or services, this is where to do it. You would be surprised how much goods and services members could exchange against sailing time. Think about it. You probably have qualities or goods owners are in search of. It's now possible for you to offer goods and/or services that are ready to trade. Consult our liste of TRADE & BARTERING. Also take a look at our list of GOODS AND SERVICES FOR TRADE. What you could trade is only limited to your imagination. Craftsman or professional, you are worth your weight in gold. For example: editing, proof reading, translations, graphic-artist, computer technician, plumber, carpenter, cabinet maker, its endless! Another possibility would be to offer your services as a captain, always in demand by an owner or by a group who lease a sailboat. Think about it. You have nothing to lose. Simply attach a list of the goods or services you could offer with your registration form. We have a host of ideas for future projects and only need you to realize them. For example: we would love to organize a treasure hunt on a desert island on Lake Champlain. A real Treasure, a real island accessible by sailboat only. How magical this would be to the children. ANY VOLUNTEERS TO ORGANIZE IT? All your suggestions are welcome, Affordable Yachting is an association at your service. We purchase publicity in various sailing magazines. We Participate at various boat shows. We purchase spot newspaper advertising. This is an access free Fax Back system available 24 hours a day. Newsletter (sent by snail mail). Free for all members and available to non-members at the low cost of 5$ per year, all of those sailors without an Internet access can still be informed. Dont forget the most important, YOU and word of mouth! Our association does not make any profit. Affordable yachting is exclusively a non-profit association and we're not funded! All those helping the association do it for free. If you feel generous, make a donation. It will help us start a new project. Thank you in advance. Only Affordable Yachting members have access to other members information. The very small membership fee that we ask for is used to filter the serious from the non-serious inquiries. We publish only the information of members who offer: goods & services, boats listed for rentals or for sale, misc, boating items for sale, etc. It is essential to the survival of the association that no one give out the list to others that are not members of the association. Not complying to this rule would bring about the eventual extinction of Affordable Yachting. Considering the unique nature of this association this would be very unfortunate. you will receive details about sailboats owners. With Affordable Yachting, You'll Love To Boat Even More! Are you fond of yachting? Are you looking for a durable yet affordable boat offer? Well, Affordable Yachting is the only name that you can depend on! When talking about boating and yachting as a sport or even as a hobby, Affordable Yachting is the one who truly understands and knew what are your needs. That is why we render our services to all those yachting hobbyists to cater all their needs in yachting and sailing. Looking for sailboat, charter boats or even used boat classified ads and rental online? Cast your worries away because we can attend to all your boating needs! We serve the places of Caribbean, Mediterranean, Canada, USA, South Pacific and Indian Ocean areas. We, at Affordable Yachting have these classified ads for boat in Canada, U.S.A. and Europe. We also provide charter boats for rent in the Caribbean, and sailboat rental and charter in the Mediterranean area. We also offer new and used boats in South Pacific area and others. Reliable and affordable, all in one name--truly the Affordable Yachting way! With Affordable Yachting, you will surely love to boat and yacht even more!